If you have any aspiration of becoming a flight paramedic, it is going to take some work. 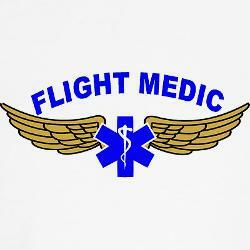 A common question in the medical field is how does one become a flight paramedic. Well, as with anything that is worth doing, it is long and not very easy process as Steve Farzam describes below. 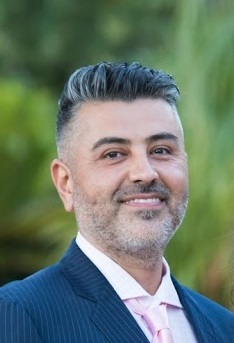 One thing to keep in mind before reading nay further, is that if you actually want to become a flight paramedic like Steve Farzam, it is going to take some work. So, if you do not have a good work ethic, you can leave the page. It is not going to come easy to you, and will require a lot of time and drive. If it is something you really want, you will find the work pays off well and it is well worth it in the long run. It is something that so many people try to do, and a lot of people end up failing for the same reason. The reason is that the job is hard, it is not easy by any means. Let me show you what it takes to become a flight paramedic. You will first have to get your paramedic certification. This is no walk in the park, says Steve Farzam, this is going to be tough. This involves up to 1,200-1,800 hours of schooling. Keep in mind that this is different from normal EMT school. This takes a lot more time, but for good reason. During these months you will be learning a whole lot more than your counterparts over at EMT school. You will be learning how to deliver hospital level care in the back of a moving vehicle or in the middle of the air. After you receive this certification, you will want to get a job at a EMS service. It will be hard to get a job right away as a flight paramedic, so you must first prove yourself at a ground EMS company. Here you will take everything you learned in school, and take it to the real world. This is where things get fun and your schooling starts to pay off. While you are doing this job, you will need to start getting certified in Advanced Cardiac Life support, Pediatric Advanced Life Support, Neonatal Resuscitation, and Prehospital Trauma Life Support. This whole process will take about 2 years. Like Steve Farzam said earlier, this is not going to come easy. Once you finish that schooling up you are going to want to get certified in Critical Care and Flight Paramedic. While this is not needed, you will have a very hard time finding a job without it. This is more of a resume booster that actually isn’t a booster. It is more of a must have if you actually want to have a fighting chance in landing that job. You can probably tell by now that this is not going to come easy. If you have the work ethic, and are committed, you will be able to do it. There is a reason it is such a sought after job says Steve Farzam.